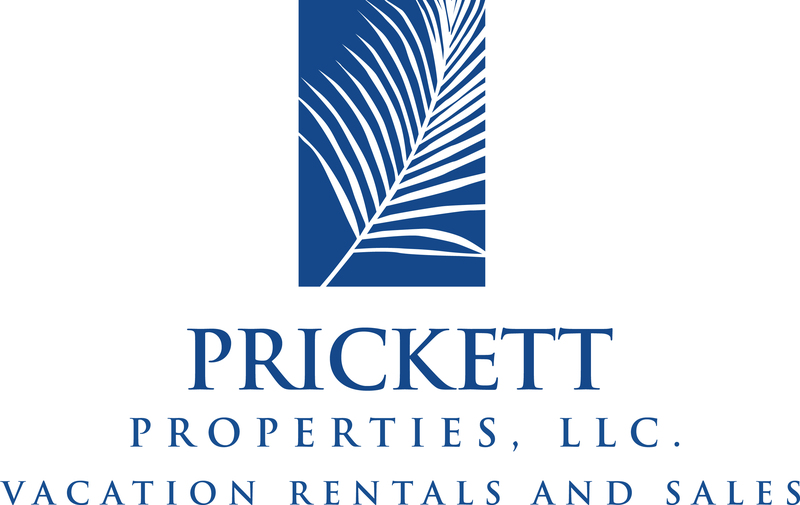 Chic Family Travels was put in charge of planning a multigenerational family vacation to Costa Rica for the Feburary school holidays. Chic Family had a lot of needs to meet, and started the search for the perfect location by seeking advice from a dear friend who lives in Costa Rica. 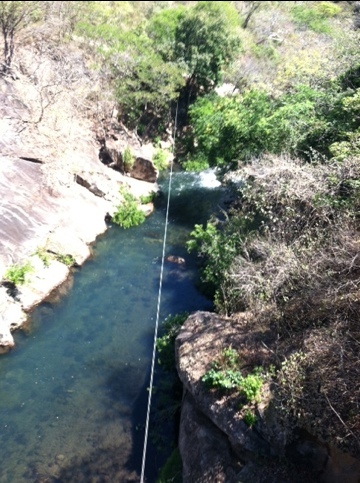 It took a lot of research before we decided upon the Cala Luna in Tamarindo. Chic Family initially looked into the popular American hotel, Los Suenos, owned by the Marriott. It was a natural place to begin our search in that the Marriott brand is trusted and we knew several people who have stayed at the Los Suenos. We decided against the Los Suenos because our Costa Rican friend urged us to dig a little deeper to find a more authentic Costa Rican experience. She also suggested that Jaco was not incredibly family friendly. She felt as though the town was more geared towards the spring break party crowd and would not give us a true feel as to what Costa Rica was about. However, we knew that we need to be close to a major airport due to the fact that we were traveling with small children. 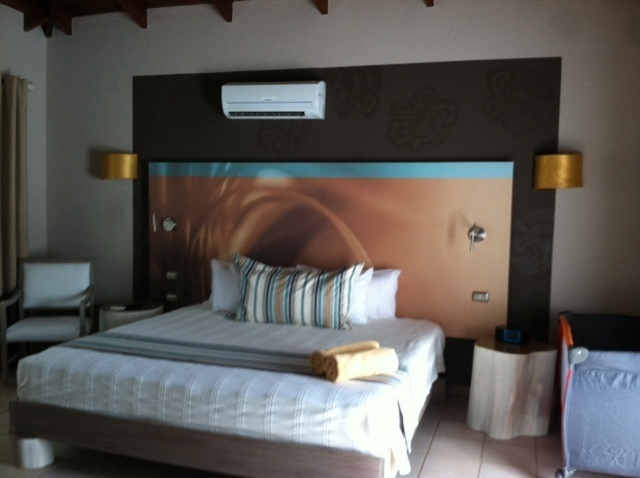 Eventually, we decided upon finding a hotel near Tamarindo since we could get there easily from Liberia. 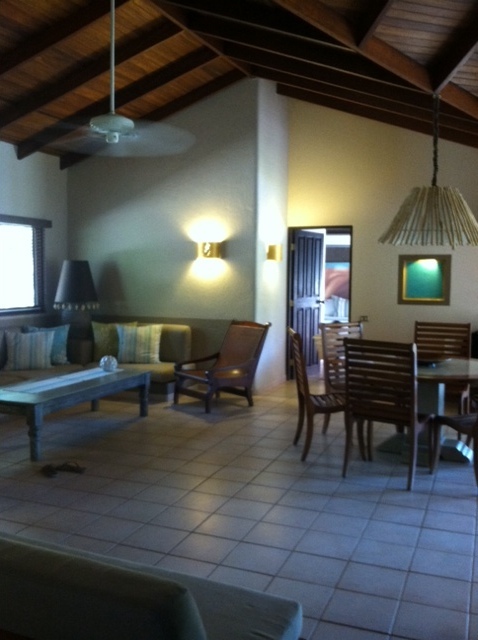 The Cala Luna is a luxury boutique hotel in Tamarindo has recently re-opened after a complete rennovation. 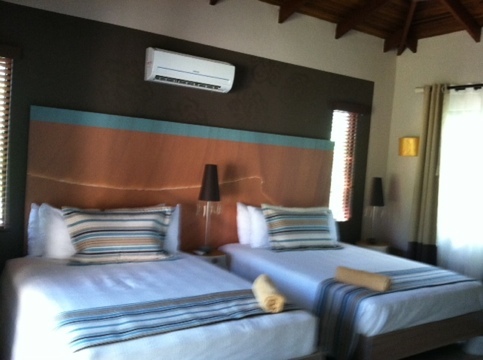 The hotel offers traditional hotel rooms as well as 2 bedroom villas with private pools. None of the rooms offer an ocean view but the beach is extremely close. It was actually much closer than we had envisioned after viewing the hotel map. The distance to the beach was definitely a plus for this hotel. On the negative side, the ocean at the Cala Luna was not really swimmable due to the rocks as is the case with a lot of the beaches in Costa Rica. 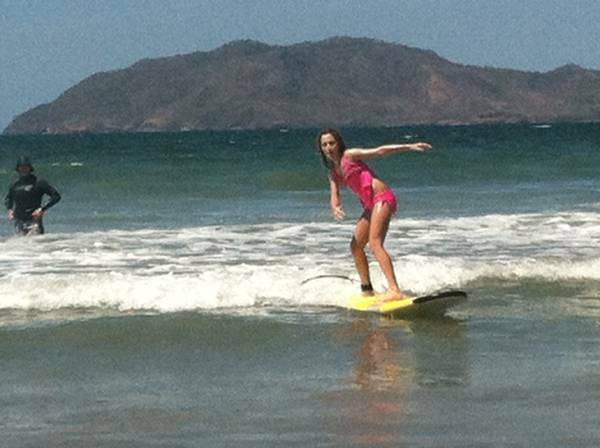 However, we were not let down as we had a couple of days scheduled to take surfing lessons at the El Capitan Suizo and thus had plenty of swimming time! The El Capitan Suizo hotel is approximately a five minute walk away by beach or road and the beach at the hotel is public. This is also where we took surfing lessons. 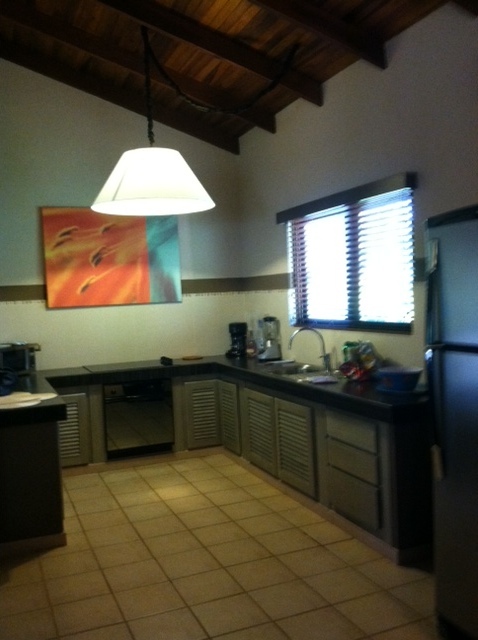 The reason we did not choose this hotel was simply because the Cala Luna offered nicer accommodations. The Cala Luna villas were large and lovely. The private swimming pool was an huge bonus as our crowd might have been disruptive to the zen-like atmosphere around the hotel pool. On a side note, the Cala Luna hotel pool does have a children’s swimming area which was a bonus for toddlers. 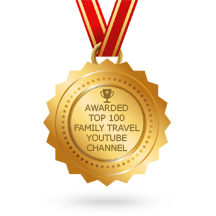 I would highly recommend paying for the villas if you are traveling with a family. The Cala Luna hotel rooms were equally lovely but very small. 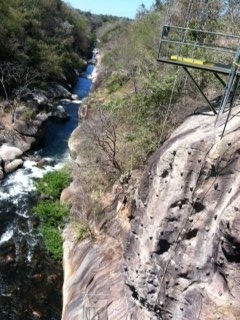 The Cala Luna atmosphere gave such an authentic Costa Rican feel complete with howler monkeys everywhere! 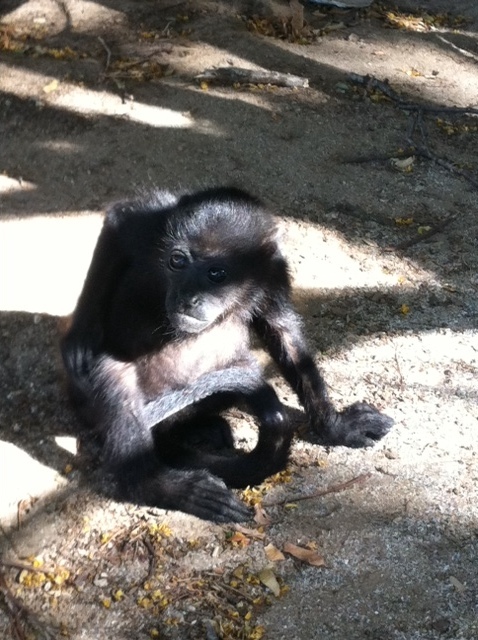 Also, the El Capitan Suizo cares for abandoned and/or injured monkeys so if you would like to see these little guys really up close and personal then take a walk over there! The food at the Cala Luna was truly remarkable! In fact, we enjoyed all of the food in Tamarindo. We did not have one bad meal which a pretty bold statement! However, I must admit that the Cala Luna food service was painfully slow at times. At frustrating times, someone in our party would state ‘ Pura Vida’ and all would be right in the world again! 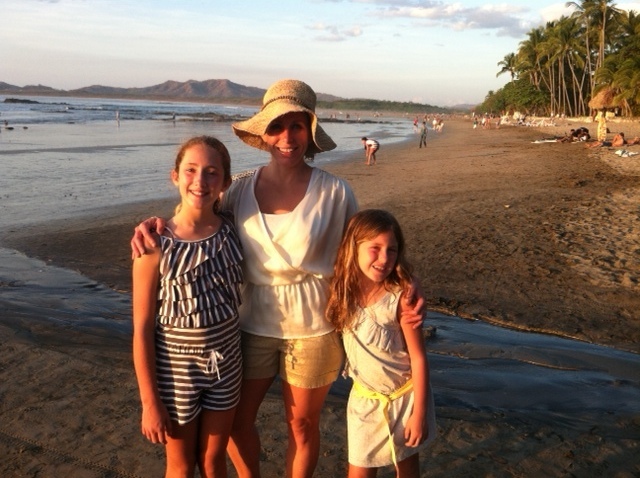 I would also recommend spending an afternoon at Nibanna or CoCo Bay Beach Club in Tamarindo. Both of these restaurants are located on the beach and offer fantastic sunsets, mariachi bands, and cocktails! 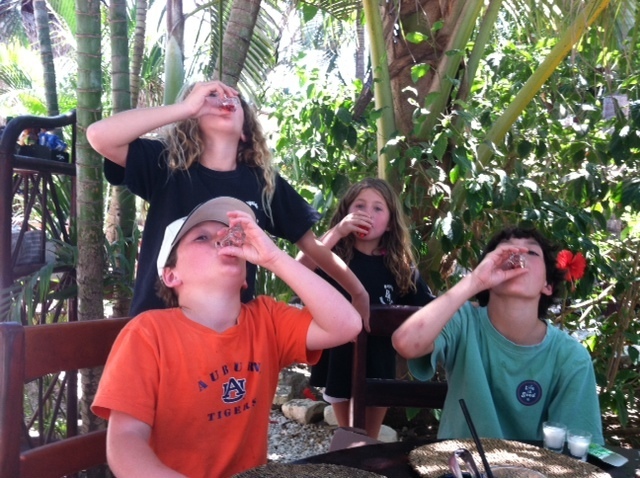 My kids especially loved the Shirley Temple shots offered at the end of the meal at Nibanna. 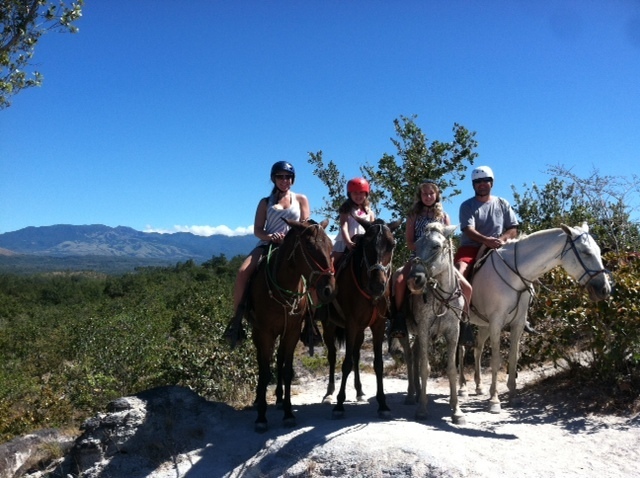 One of the highlights to the Cala Luna is that Tamarindo is within a 2 minute taxi ride. Tamarindo has a “cool surfer town” low key vibe with plenty of beach bar food options. I can’t imagine going to Costa Rica and being locked into staying at the resort or taking a long taxi drive to the nearest town. This is the case for many of the other well known resorts so do your research! Another highlight of our stay in Costa Rica was the super combo tour at Gauchepelin. We booked this tour through Ciro at Go Adventures and cannot say enough good things about his company. This tour is full day with zip lining, horseback riding, rappelling, rock climbing, white water rafting and a delicious authentic costa rican authentic lunch. This along with surfing were the two reasons why they want to go back to Costa Rica! It’s a must do! 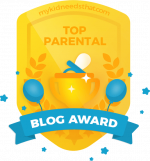 Our Family LOVED the surfing and this is what made our Costa Rica trip special. Honestly, the beach is not spectacular and the ocean waters are not clear, so we knew there had to be a reason people go back. For us, it’s the surfing. (For others it’s the fishing. We had bad luck on our fishing excursions but that’s why they call it fishing and not catching!) We were told that this was the best place in the world to learn how to surf due to the consistent swells and sandy bottom. Apparently, there are many locations that have a coral bottom which requires a lot of paddeling and waves that are to big for beginners. Not the case for Tamarindo, we all were surfing within a 2 hour lesson and never had to paddle for more than a minute or two per wave. 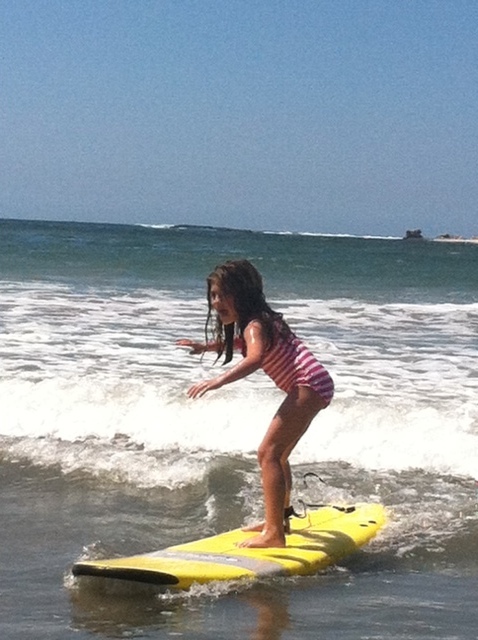 Check out our little one catching the waves!